For many people looking to start a business, buying into a franchise is often considered a safer option because it’s effectively a tried and tested business model. But while a franchisor can provide you all the tools you need to set up your business and ongoing operational support, the franchise model alone doesn’t guarantee success. In fact, the single-most important contributing factor in how to run a successful franchise business is the hard work and discipline of you, the franchisee. This is something that is often underplayed by other franchisors, who are keen to seduce prospects with the allure of being part of their brand and an easy route into business. At énergie, we know the strength of a network relies on the sum of its individuals, which is why we have a rigorous franchisee selection process which gets to know you and helps you understand whether franchising if right for you. Here, we look at the key determining factors of running a successful franchise business. Whatever industry you choose to begin a business in, whether it be fitness, food, travel or technology (to name only a few), you need to ensure that your research covers all grounds. If you don’t understand the industry, or you’re missing vital business skills, you’re likely to fall at the first hurdle. Of course, not everyone will already have the skill-set that enables them to act as every department of a business, or will understand everything about current market as well as the predicted future of the industry. This is why choosing an experienced franchise operator that offers a comprehensive level of business support and training is so important – it will give you a far better chance of turning your new business venture into a rewarding and fulfilling pay off. A good franchise business will offer you the opportunity to buy into a set of systems and processes that are proven to work, which is why strong and established franchisors will have robust audit procedures in place to ensure brand and operational compliance to protect the network’s success. On top of this they will have on-going training and have regular educational communications about how to deliver the brand experience. However, this doesn’t mean you can’t have an influence on how to run your business. Many franchisors will have a franchisee-led forum to help shape future developments across the network. If you aspire to have this kind of influence as a franchisee in the future, then following the existing systems and processes from the outset will help you understand exactly how to adapt in the future. It’s only natural to be ambitious, but you need to ensure that your business plan is realistic and achievable. By all means set challenging goals and targets, but if you’re working to budgets and resources that are far out of reach or set yourself unrealistic timelines, you might find that you’ll struggle to get things off the ground. A good franchisor should be able to help you flesh out your business plan properly, as well as help you put the right team in place to achieve your goals. Being a franchisee can be an incredibly rewarding role, providing you stay true to your means and work with the tools at hand. To compete on a local level, you need to market your franchise in a way that differentiates yourself from competitors and brings new business to the table. Your franchisor will already be managing national brand activities, but you need to amplify that locally to ensure you that make the best of the opportunities available to you. Find out what marketing support your franchisor offers centrally and consider what you can also be doing on a local level. Working alongside marketing professionals to boost your business locally could be a game changer for your franchise. What’s a challenge without a little healthy competition? Or a lot, depending on the industry you choose to work in. At énergie, we know that the competition in today’s fitness industry is like no other and with the sector growing and expanding by the day, this means that business owners need to step up their game and bring new strategies and ideas to the table. The key is to look for the missing ingredients in the current market. For example, the latest Mintel survey reported that a lack of contact from gym staff is the number one hassle for gym members. In response to this, we reviewed our business model in order to implement our brand new Take the Stage training programme, alongside the employment of club hosts for that more personal approach. Many franchisors are really engaged during the sales process, but once the franchise sale is complete the support seems to tail off. The success of the franchising model relies heavily on the strength and support of the network – and without support from their franchisor, how is a franchisee meant to succeed? 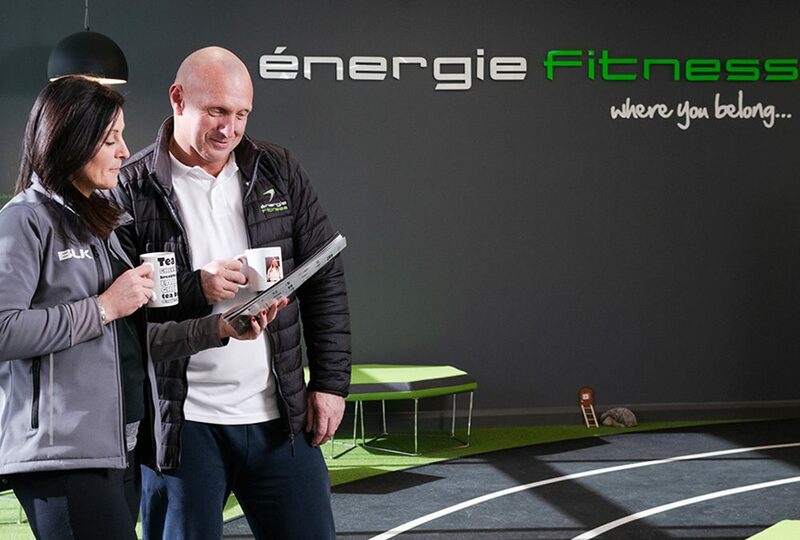 At énergie, our award-winning franchise support package includes full business training and a host of networking opportunities, while our 35-strong franchise support team are always on hand to help franchisees work through any issues, however big or small. Nobody is left behind when working with énergie, and it’s perhaps one of the reasons we now have so many multi-site franchise owners like Jo and Peter Gunter, who opened their second gym after the huge success of their first. If you’d like to find out how an énergie Fitness franchise could help you achieve your dreams of business ownership too, get in touch by filling tin the form below.